Many family law cases, such as divorces and adoptions, are more than just the filing of legal documents, they are major life changes. As relationships in your life become redefined, there is so much to think about and the decisions that you make as part of your legal proceedings will have a major impact on the rest of your life. In situations like this, having an attorney to be your advocate and protect your best interests can be invaluable in reducing your stress, lowering your costs, and assuring that the outcome is fair and reasonable. We handle the process so that you can concentrate on moving on with your life. Barri strives for fair results. A fair result means that your assets are equitably divided, support is set at the right amount based upon all relevant facts, and your relationship with your children is preserved. Ideally, these results can be negotiated, but if the other side is unreasonable, she is a tough, experienced advocates who knows how to work within the legal system to get you what you need. She also has extensive experience in mediation and believes that an expensive and lengthy court battle is not always inevitable. Also, we try to keep your legal costs low by doing things right the first time, moving your case forward until completion, and considering at all times whether the results will justify the dollars you spend. Barri Payne is also a Certified Family Financial Mediator. She provides services as a mediator to other lawyers practicing family law who have clients also undergoing the dissolution process. Barri’s skill as a mediator brings additional elements of experience to her own family law practice. Her certifications as a specialist in family law and in family financial mediation prove her expertise in these areas of practice. Contact her today regarding your family law matters and get a clear understanding of your options. 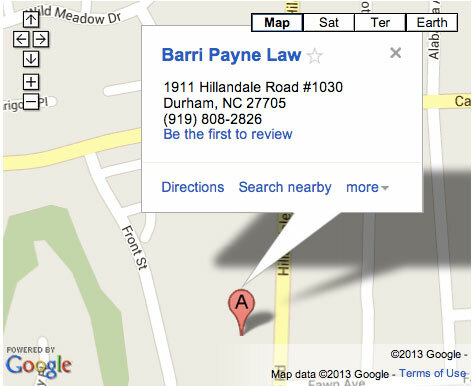 If you are a lawyer seeking to schedule a mediation, please visit Barri’s mediation site.